Our clinical teams provide the most comprehensive Spondylosis therapy. Avoid surgery or injections, call today! 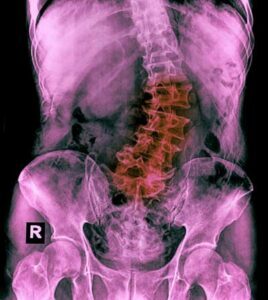 The medical term Spondylosis is descriptive of degenerative disorder of the spine. Almost anyone can develop spondylosis (spondylotic changes including bone spur) as they grow older. However, several predisposing risk factors increase the possibility of some individuals developing spondylotic changes. The most common risk factors associated with this condition include obesity, poor posture, traumatic injury, and participation in high impact sports, as well as genetic factors. Despite this, the natural aging process is still considered the primary risk factor for pain or symptoms. Visit our center for a thorough analysis of your spine. Our clinical teams are the spine and joint experts you need. Visit us today to assess your posture and spine today. With time, the spinal soft tissues, which are composed of cartilage, spinal discs, ligaments, muscles, and tendons, deteriorate due to normal wear and tear. With degenerative spine changes, your risk factors in the development of spondylosis and bone spur increase significantly. A bone spur is an overgrowth of bone or calcification of soft tissues often referred to as osteophytes or osteoarthritis (OA). The spinal soft tissue components have a high water composition. Spondylosis leads to the dehydration of spinal soft tissue components such as spinal discs and cartilages. This dehydration increases the chance of exposed bones rubbing against each other, leading to symptoms such as pain. Pain resulting from wear and tear is often due to bone spurs in affected individuals. Furthermore, deterioration of the spinal soft tissue can cause the tendons, muscles, and ligaments to become thicker and stiffer. Spinal deterioration in individuals above the age of 40 years can easily be observed in X-ray, MRI, and CT scans. To date, the best means of assessing the impact of spondylotic changes, osteophytes, slipped disc and bone spur is through the MRI (magnetic resonance imaging). The spine is made up of 33 vertebrae. The coming together of the first 24 vertebrae (spinal bones) forms the three (3) spine regions, which are lumbar (lower back), thoracic (mid back), and cervical (neck). The remaining nine segments form the coccygeal and sacral regions of the spine. The most common areas of the spine that are affected by spondylosis are the lumbar (lower back), thoracic (mid back), and cervical (neck). With this, spondylosis classification is usually done by the location. As mentioned, spondylosis is the term that refers to conditions that lead to spinal joint arthritis (bone spurs or facet hypertrophy), thickening of ligamentum flavum (ligamentum flavum hypertrophy) and varying degrees of slipped discs. Regardless of the cause, conservative treatment should be your first and only option. 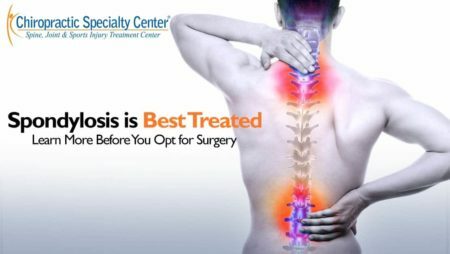 Spine surgery is an option best avoided or reserved as the last option. Spine surgery should only be considered when conservative treatment such as those we offer is thoroughly exhausted. In the Lumbar Spine Slipped Discs, Bone Spurs, and Spinal Degenerations are the Leading Cause of Pain and Disability. Lumbar spondylosis affects the lumbar vertebrae (L1-L5). It is the second most common location, and the deterioration process mainly involves the lower back, as it is the part that bears most weight and has a broad range of motion. Visit our center for the best non-surgical slipped disc treatment in Malaysia today. Our methods of care are through specialized back pain exercises, advanced chiropractic treatments, and clinical physiotherapy. We can help even severely degenerated or herniated spinal discs. Thoracic or Upper Back Pain is the result of Degenerative Changes in Joints, Discs and Soft Tissues. Thoracic spondylosis affects the thoracic vertebrae (T1-T12). It is the least common site. The mid back (mid thoracic spine) is a common site of diagnosis for spondylosis. Cervical spondylosis affects the cervical vertebrae (C1-C7), which form the neck region; it is the most common site for spondylosis in the spine. The cervical spine (the neck) has a tremendous range of motion and mobility. 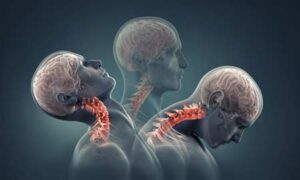 These factors and the fact that it bears the weight of the head predisposes the neck to spondylosis at greater levels than the lumbar (lower back) region of the spine. Additionally, our modern gadgets and handheld electronic devices are the main culprits for increased risk factors in the development of this degenerative condition in the neck. Our neck pain treatments and neck pain exercise programs are enriched with treatments provided on advanced spine technology. Chiropractic Specialty Center® succeeds even if others have failed to get you better. Spondylosis should not be confused with spondylitis. While spondylosis refers to degenerative changes resulting from arthritis and spinal disc issues, spondylitis is descriptive of an inflammatory type of arthritic changes, such as ankylosing spondylitis. Patients suffering from this degenerative spine disorder do not always experience symptoms. Some patients may never experience symptoms up until they are involved in a traumatic incident. This means that patients that have spondylosis may not experience symptoms such as pain, numbness in arms, legs, hands or feet. Typically, the symptomatic patient may complain of a lot of symptoms. Some may complain of pain, numbness, tingling sensations, and muscle weakness. The symptoms in most arise when the disorder causes anatomical deformity in the spinal joint, leading to impingement and irritation of the spinal cord or spinal nerves. 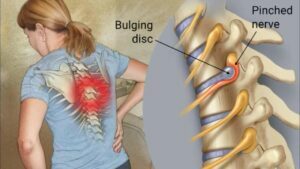 Often, the irritating cause is a bone spur, ligament calcification, bulging disc or herniated discs (slip-disc or slipped disc) that compress spinal nerve roots as well as the spinal cord itself. Apart from the symptoms mentioned above, other symptoms associated with this condition include stiffness, inflammation, back pain, neck pain, and a decreased range of motion. Conventional Western medicine dictates that patients with spondylosis need treatments through painkillers, injections, and surgery. However, studies have proven that patients who receive these forms of treatment only get temporary relief and are more susceptible to relapses. Conservative treatment approaches must be explored, such as physical therapy (physiotherapy) and chiropractic care. Acupuncture has had some successes in reducing the pain, but it cannot fix the cause. Often, patients that receive acupuncture find themselves in pain. Therefore, we would recommend a course of care that addresses the real cause and not just the symptoms. In other words, acupuncture, medications, and injections do not offer much help in the long haul. Visit our center today and get the best chiropractic treatment in Malaysia today. Best of all, the treatment you get in our center is a painless therapy that fixes to the actual cause of spondylosis. What is the Best Physical Therapy Treatment for Spine in Malaysia? The most suitable physical therapy treatment for the spine is the integrative methods of chiropractic and physical therapy at our centers. Quite frankly. we offer the best physical therapy and chiropractic treatment for spine, joints and sports injuries in Malaysia. Invasive treatment options, such as surgery, are not recommended as they pose a greater risk to patients. Accurate diagnosis and identification of the root causes are critical for the successful treatment and speedy recovery of patients. Therapy programs or treatment options that are not targeted may improve symptoms, but they are often returning time and again. Therefore, our advice is to seek clinicians and practices that have experienced knowledgeable clinical staff who understands all root-causes and have the abilities and methodologies for targeted methods of care. Chiropractors and physical therapist are helpful if they give targeted treatments. Additionally, those with bone spurs may want to avoid the traditional means of physiotherapy or chiropractic. Physiotherapists and chiropractors do treat a host of the spine and joint conditions, but spondylosis requires specialized knowledge and ability. Above all, care must be taken not to aggravate or exacerbate a patient through aggressive means of treatment. In other words, the typical spine care given to so many neck or upper back pain sufferers may not be as effective. An excellent example of aggressive treatment is the rotatory chiropractic adjustments or excessive manual therapy and range of motion exercises that physiotherapists do. Our Chiros and Physios fix the cause and not covering up the symptoms. Early stages of spinal spondylosis cases are asymptomatic or may just present with slight pain. However, not dealing with it in the right way may lead to severe consequences down the road. Don’t take it lightly and get your spine checked by one of our non-surgical clinical experts today. We may be biased, but our views on our methods are based on our accomplishments in the field of non-surgical spine care. Our success for spondylosis speaks volumes about our abilities, knowledge, and experience. 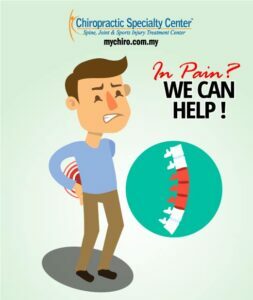 In short, if you are diagnosed with spondylosis and need treatments, we are your best option in Malaysia. Our proven method of spine care is a testament to the level of research-based, the non-surgical treatment you can expect from the Chiropractic Specialty Center®. Our aim in the treatment of spondylosis is not just symptom relief, but also correction. As such, we offer targeted, diagnosis-based treatments through the combined efforts of Best Clinical Physical Therapists, World-Class Research-Based Chiropractors, and advanced spine technology. Our go-to method for this degenerative spine disorder is the best-targeted and diagnosis-specific method as offered through NSD therapy®. 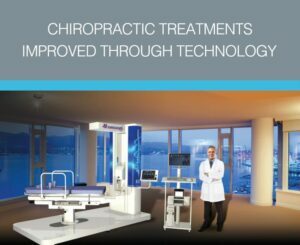 Non-surgical treatments offered through NSD therapy® is not a single method of care, but an integrative method of spine care enabled through advanced spine technology and backed by research. To date, NSD Therapy® provides the most holistic means of treatment for spondylosis. Don’t just take our word for it, visit our center to discover what makes our methods better. Our clinical teams offer integrative non-surgical solutions that others do not have. 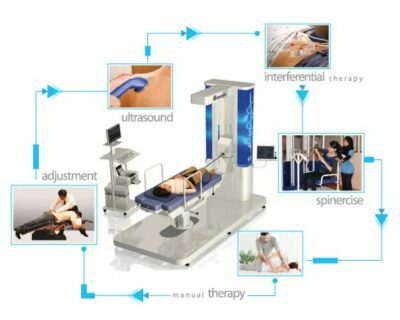 Chiropractic Specialty Center® is the only center or clinic in Malaysia to offer NSD Therapy® treatments. Our systems and methods are diagnosis specific. Therefore, we treat the cause of your condition and not just the symptoms. Best of all, getting care from one of our centers will enable you to recover without medication, injection or surgery. Even if you have had a surgical intervention, visit us and discover our non-invasive treatment options before agreeing to an invasive procedure. Our clinical teams have the best non-surgical bone spur or spondylosis treatment in Malaysia. Spondylitis is a vertebral disease that commonly hits men in the age of 20 to 40. Humans are working like a robot but it’s after effects could be threatening for their health. I think performing MRI scan in this situation would be beneficial for patient than other scanning methods. Many times we ignore pain in vertebra than it leads to unrecoverable disease.